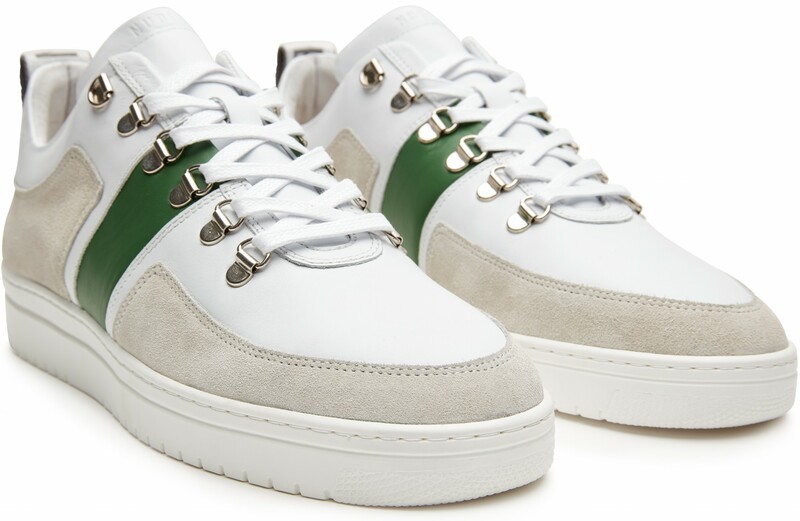 The white Yeye Maze Block Green trainers by Nubikk is a low white leather men's trainer, made of high-grade calfskin with an extra comfortable rubber sole. 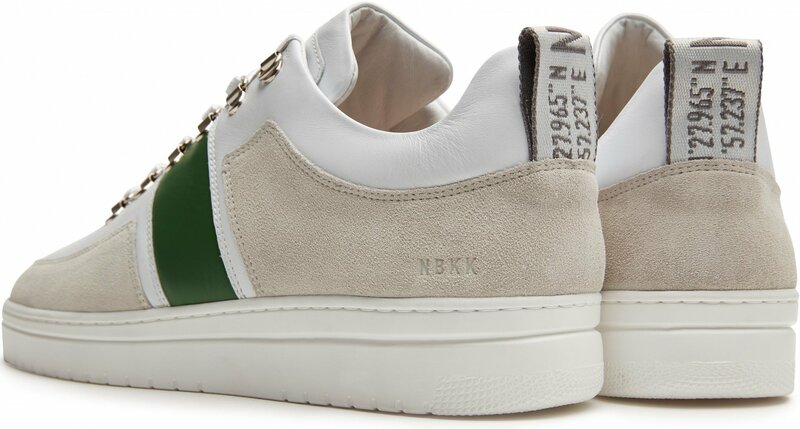 The Yeye Maze Block Green men's trainers are white trainers from Nubikk's all-time classic collection. Striking on the white trainers are the double (water) tongue and the D-lace grommets. The Yeye trainers are renewed every season and released in new color/material combinations. For the new spring/summer season, the Yeye Maze Block Green trainers have the recognizable Nubikk 'GPS tape' on the back. In combination with a solid green colored stripe in the middle. 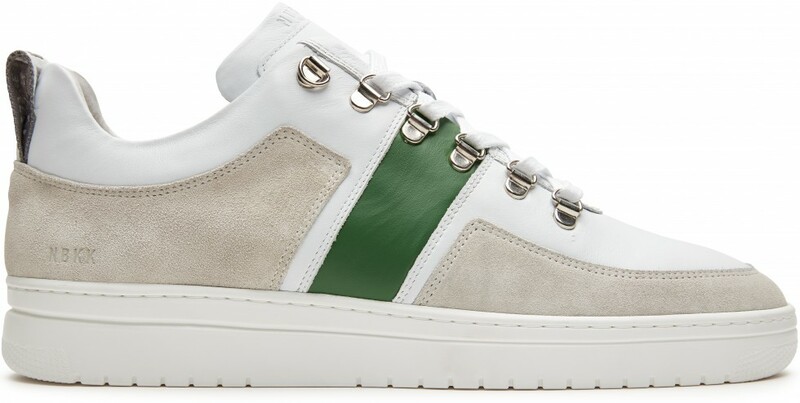 The trainers are available in white leather with a Green Block and with an Ocean colored block.